1. OATS: You must have heard of oats usually as a “healthy breakfast” option but are you aware it has nutrients for your skin as well? 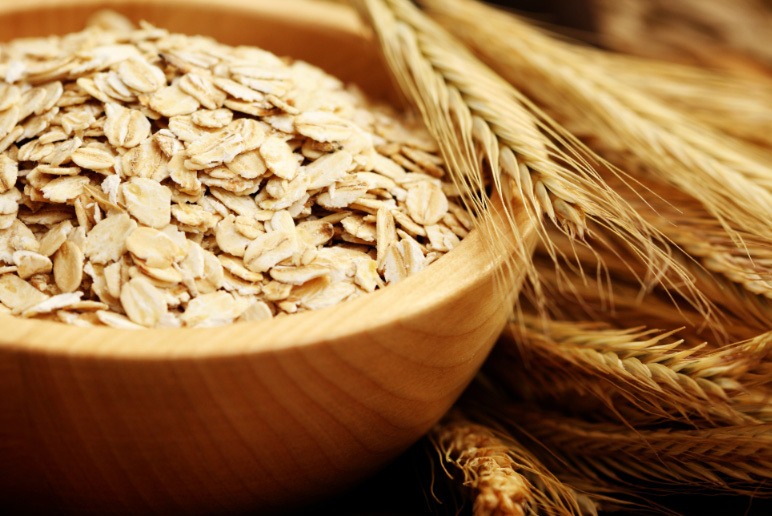 Oats is known for cleansing, exfoliating and moisturizing properties. 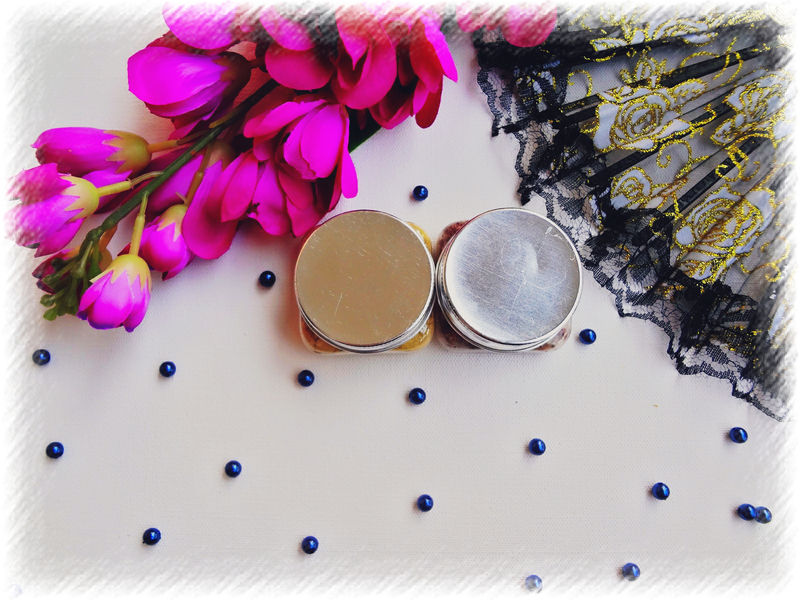 Now, can you see it alone can be the one ingredient that caters to your facial skincare needs! It makes your skin feeling soft, smooth, healthy and radiant. Usually, oats is reserved for the sensitive skin and it is said to treat acne. If you have an oily skin, it will take care of your skin’s habit to produce not needed oils but already providing it appropriate moisturization. Do you know moisturization kills excess sebum? It’s like befooling your skin that it has already done its work of producing oils. 2. 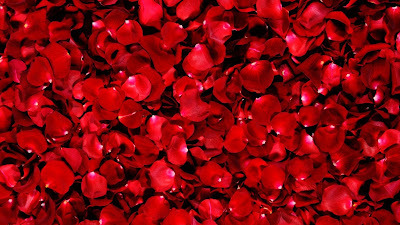 ROSE PETALS: You must have seen every spa experience cannot be completed until rose is introduced within. So why do you think it is so crucial; and why is it regarded as an expensive flower in comparison to the normal wild flowers? 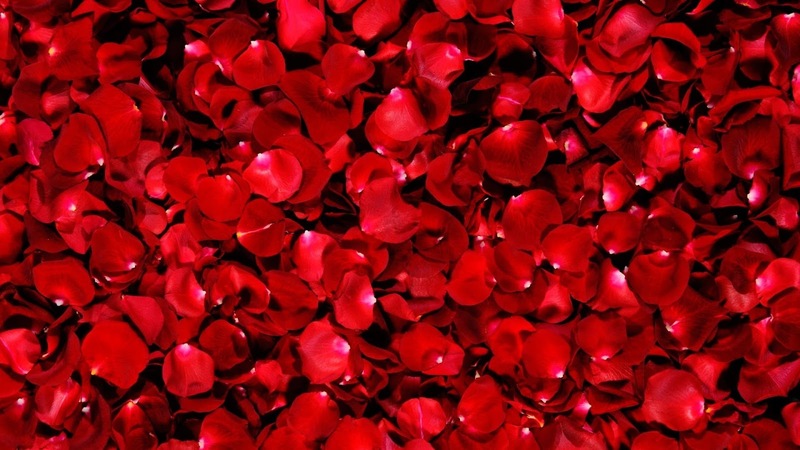 The answer is that rose not only has anti-bacterial properties but also anti inflammatory benefits as well. It relaxes, tones and moisturizes the skin; an apt ingredient for your facial-toning requirements. 3. 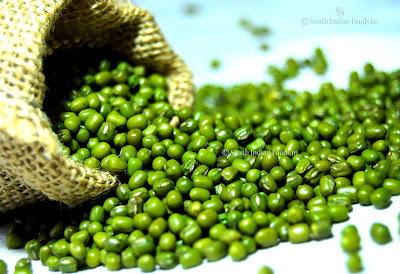 GREEN GRAM FLOUR: Green Gram Flour or hara chana aata, helps in tightening of your skin. Yes, we do love flexible things but when it comes to out facial skin, you don’t want any sagginess. The reason? Well when you will age, your skin will age along with you and this same sagginess will turn into your wrinkles! Do you remember that Vodafone pup with multitudes of saggy skin? He may look cute at a glance but then his face seems to age before his body did. 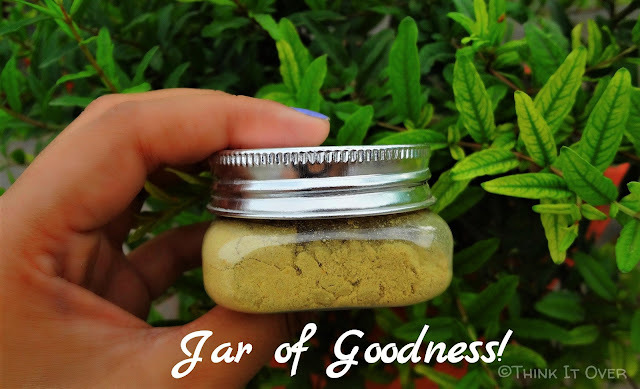 Also, green gram flour helps to cast away any skin’s impurities and keeps acne at bay. 4. 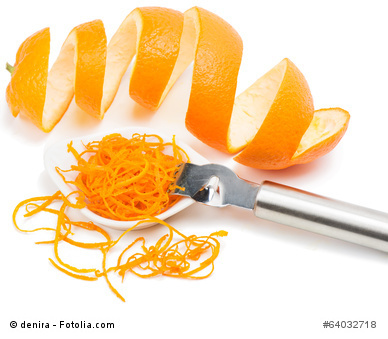 ORANGE PEEL POWDER: In case you’ve read your science lessons right, you must be aware that orange contains Vitamin C and a lot of the people dry up orange's skin to churn it into a powdered form. 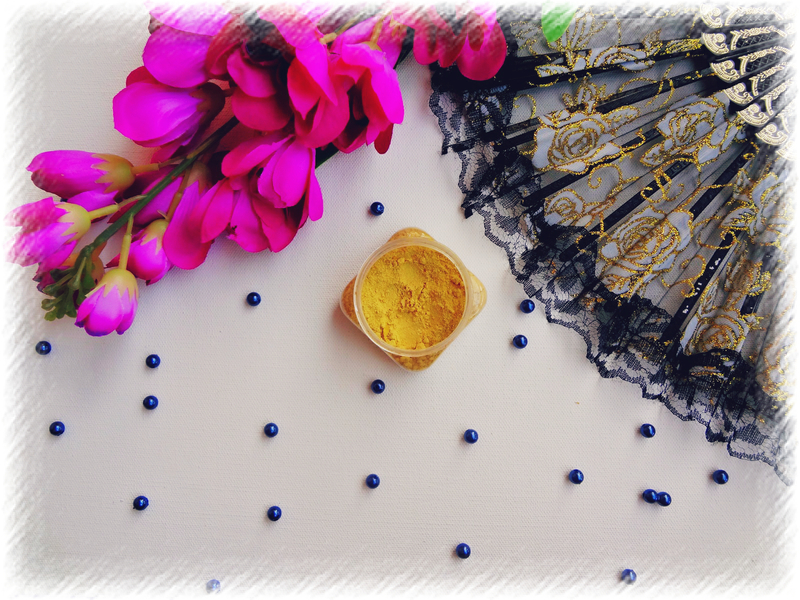 Orange peel helps in enhancing the natural glow and protects from UV radiation. Because of its citrusy properties, just like lemon, orange peel is used to get rid of sun tanning. It helps in lightening up the skin tone. 5. 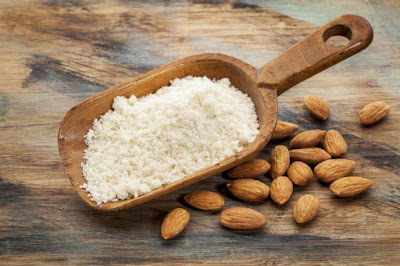 ALMOND POWDER: Almonds; yes are good to enhance your memorizing power! In sphere of skincare, they nourish your skin and help in keeping away the damages which sun showers on you in the form of gleams of sunrays or the UV rays. 6. 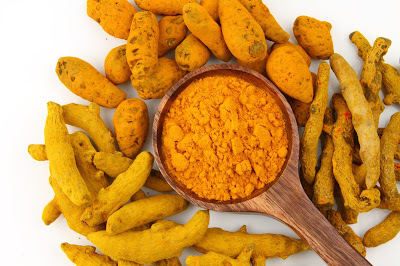 TURMERIC: Turmeric is well known for its healing power. I remember once I fell down on the day of my college sports-day and when I demonstrated my wounds to my father, not just he scolded me for being careless while walking; he also gave me turmeric milk! 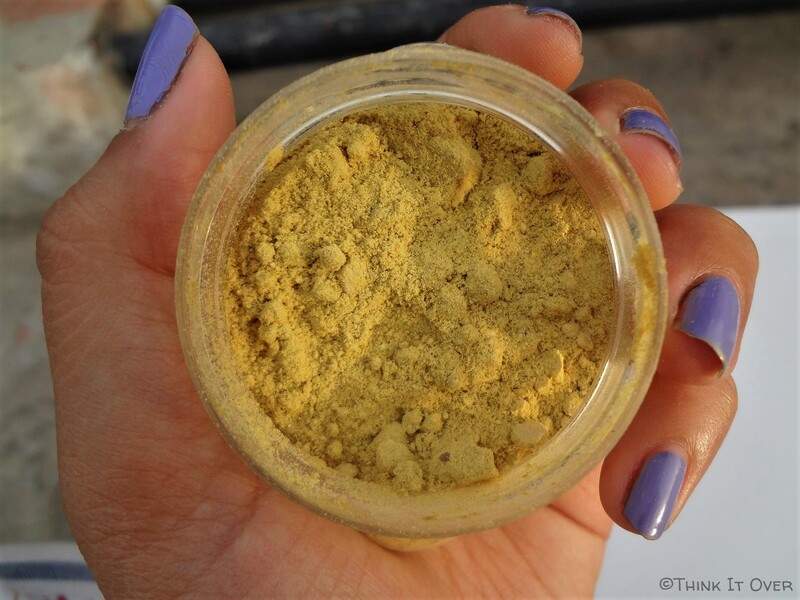 It works as an anti-septic and anti-bacterial which is why acne prone products do add in dash of turmeric. 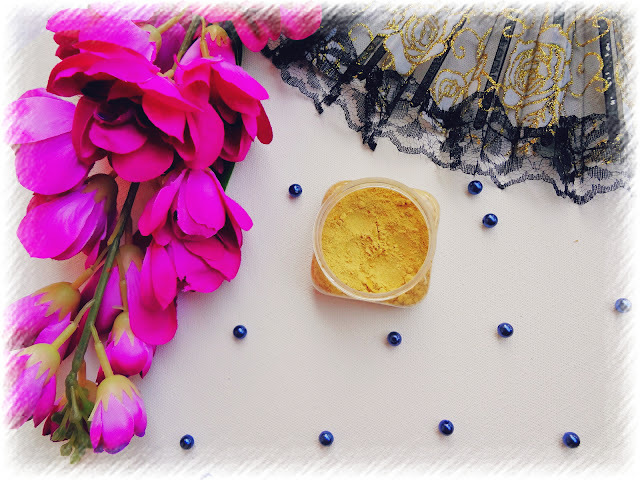 Since I have a combination skin type, which goes crazily chaotic either because of excessive sweating or the acne attack; I ordered Rose Turmeric Cleanser. Turmeric is known for its anti-bacterial properties which prevents the bacteria to breed over skin and form acne. It also curbs the excess sebum. Rose is mostly used within the second step of CTM; that is for toning. It calms down any kind of skin inflammation. 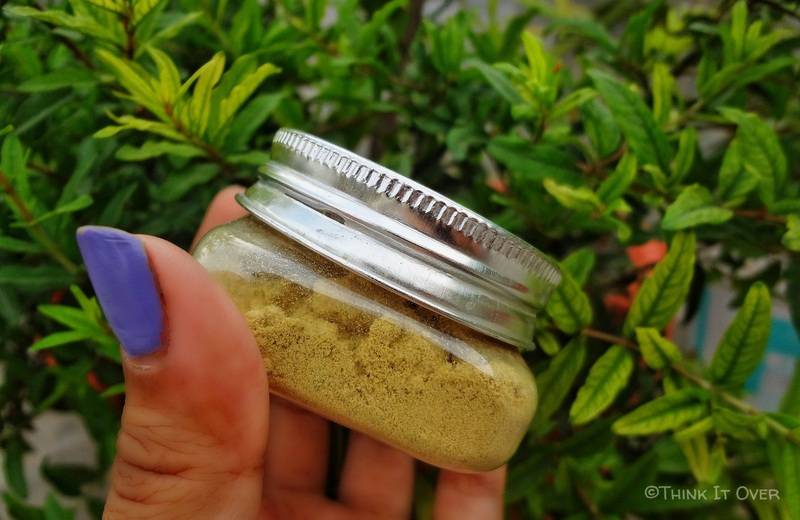 When I first saw this cleanser, it appeared to me like a multani mitti powder. That’s when I sniffed upon it. It has an earthy-natural fragrance with a prominent note of green gram flour. This was also the time when realization dawned upon me that it really is made out of natural ingredients that works as a food for our skin. But most of the time, we underestimate their value. The information pamphlet that comes along with these cleansers strengthened my trust upon the goodness that is inherent within this cleanser. 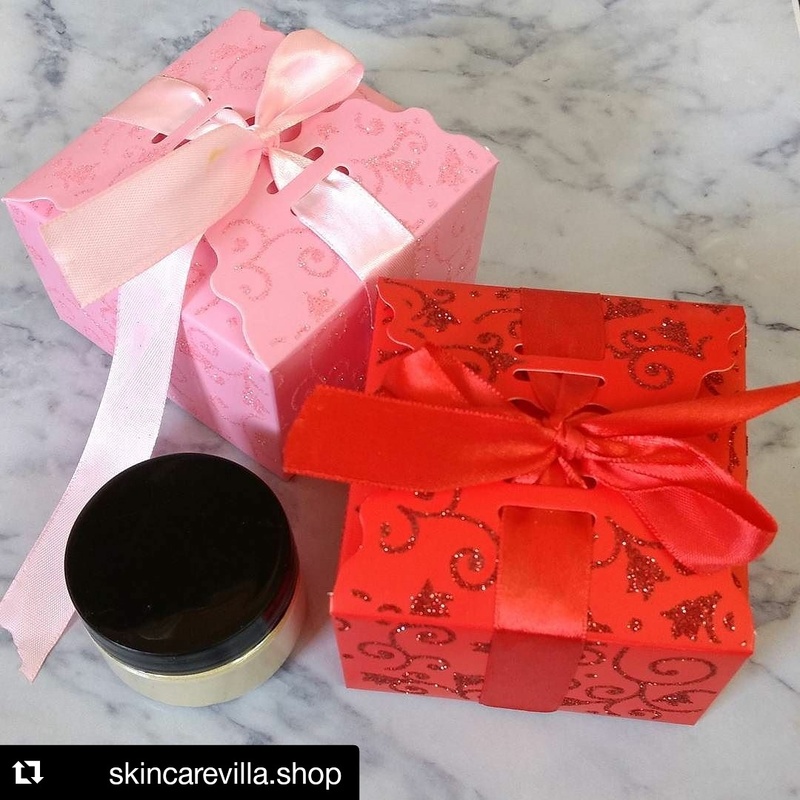 What you see is what you get when it comes to SkincareVilla Shop! There’s no preservative or any chemical added within it; made purely out of organic ingredients and are 100% natural. Onto the texture of the cleanser, it is finely milled powder with no clumps and no binding component. 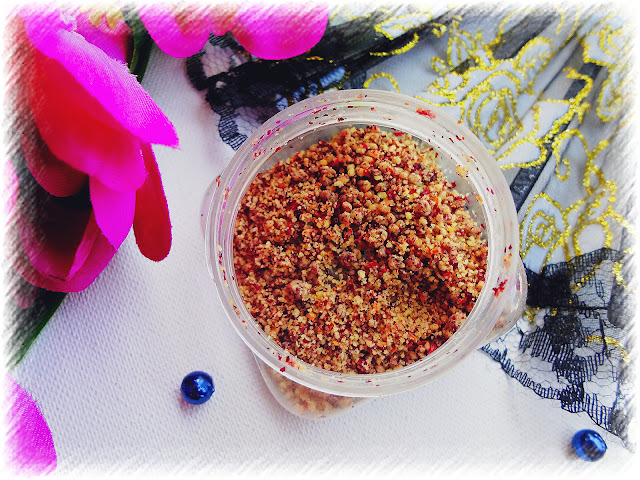 Because it’s in powder form, it gives you more power to customize the same. For instance, if you wake up with slightly dry skin; mix the cleanser with some milk to form a paste like consistency. In case you seek to lighten your complexion or pigmentation, squeeze in few drops of lemon juice and you’re good to go. But if you intend to use it along with water, it still caters you with a healthy radiant skin. 4. 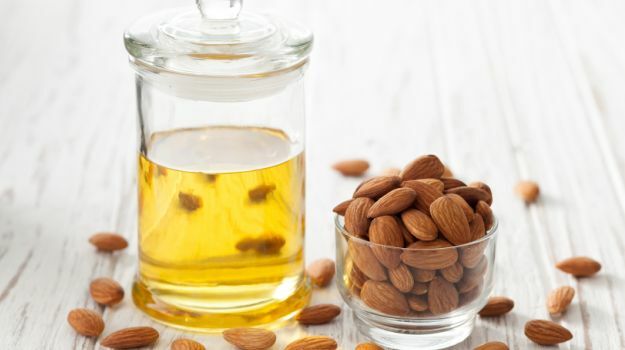 ALMOND OIL: Almond oil usually is employed as a night treatment for reduction of dark circles and pigmentation. It makes the skin healthy and by providing needed hydration, protects from early signs of ageing. Also, it is believed that almond oil helps in reduction of tanning. 5. 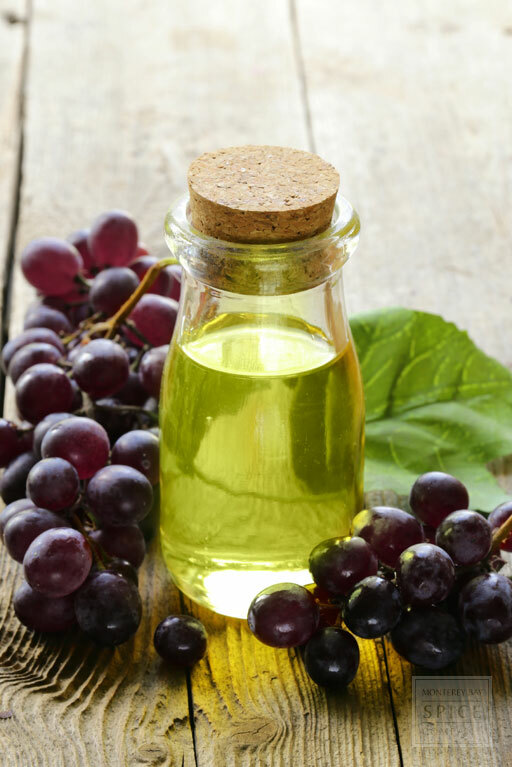 GRAPESEED CARRIER OIL: It is an antioxidant and source of Vitamin C. Grape-seed oil helps in overall improvement of skin’s appearance. Just because my skin falls amidst combination to oily skin type, I wasn’t willing to let go the experience of trying SkincareVilla’s Oats Almond Cleanser. Recently, I started to get dry patches near my nose and corners of the mouth; perhaps because of dry hot winds in Delhi. I consider it as Lord’s signal, asking me to try this cleanser as well 😄😄(LOL). To the eyes, it appears like a beautiful coloured buffet. This concoction is made up of almonds, rose petals and oats. Initially I wasn’t sure what is there inside making it appear slightly dark pink. And while usage, the same turns into beautiful light pink colour. It’s really a spectacle to the eyes. As it’s said, “You eat first with your eyes”; I was appealed at the core with what I saw. How exciting is such an experience, isn’t it? I dip my fingers inside the container with wet hands and the amount which sticks onto the hand is all that is needed for me to cleanse my face. I massage it out for a minute and even this cleanser exfoliates the skin but not harshly at all. The fragrance diffuses a little in the air but does not stay post washing off. It leaves the skin soft, bouncy and hydrated. Since my skin is inclined towards oilier side, I skip a moisturizer after cleaning my face with this cleanser. For medium to dry skin type, they may feel the need to slather some moisturizer. If you have sensitive skin type, don’t think twice and place an order for this product ASAP! I usually use this one before I have to apply my makeup. This is because foundation tends to accentuate dry and flaky skin; which you definitely not want! It makes my facial skin supple and radiant. Final Verdict: When people say “naam hi kaafi hai”, they aren’t completely wrong! 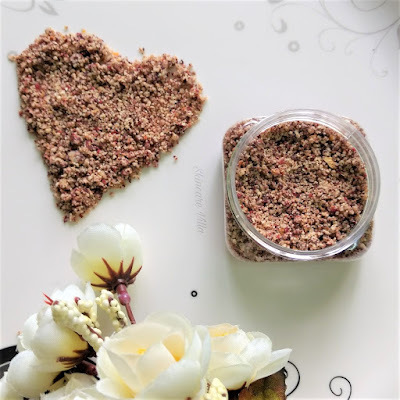 If you know Sonali (the mind behind SkincareVilla Shop), you’d be sure that when it comes to skincare, she is endowed with great fathoms of knowledge. There are beautiful ranges of products that she has made and my eyes are glued upon! In case you have any skin issues and allergies, you can get it customized. I simply love both the cleansers!! Checkout her blog dedicated to skincare - here. Thank you for the detailed review Bhawna 💕💕. I am so so humbled by your words. I may break down in tears now. 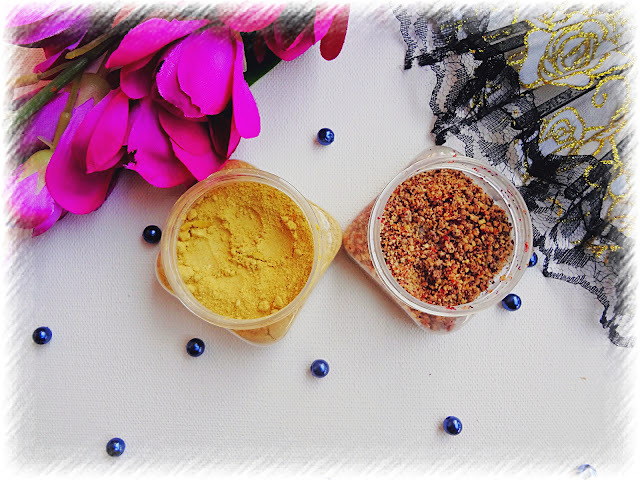 Turmeric and rose combo sounds perfect for me. Omg those pink and red box are super cute. Loved your review.